Miguel Penabella wants to hear the unheard stories. Assassin’s Creed: Liberation explores the early period of slavery in Louisiana through the eyes of the wealthy, mulatto protagonist Aveline de Grandpré, provoking a number of pressing questions. What are the dynamics of power and access between the enslaved and the free people who would fight for them? What does liberation mean, and what does its work look like? These are questions that the game’s writers, Jill Murray and Richard Farrese, gesture towards but do not commit to thoroughly exploring in any satisfying way. Despite some critical work praising the game’s historical commentary, the game seems curiously hesitant to unpack the complexities of black revolutionary politics. Liberation ends with a rallying cry against a general “enslavement of the human race” at the final scene of the game, referring to an ever-present, metaphorical oppression imposed by the fictional Templar/Abstergo antagonists, sidetracking us from the very specific and real atrocities of the African slave trade. While the game does laudably provide a precise time and place to stage its drama—New Orleans and the Louisiana bayou in the 1760s and 1770s—its enslaved black characters nevertheless prove generalized, non-specific, and sparse. The main storyline only provides a small handful of supporting black characters that are both named and have significant dialogue with Aveline, and two major figures are unceremoniously killed off as antagonistic. Despite Aveline’s tirades against the evils of slavery, she ultimately spends more time killing ex-enslaved characters rather than undercutting the system and helping individual people. Meaningful interactions with enslaved characters are rare. Too often, the only substantial way to interact with enslaved characters is to kill them. Baptiste, for instance, leads a voodoo cult of former slaves now gaining a new foothold in the Louisiana bayou, but Aveline must slaughter them in order to safeguard the white upper class of New Orleans and protect the thriving smuggling operation led by white characters Élise Lafleur and Roussillon. Baptiste takes on the identity of the late François Mackandal, the real-life Haitian runaway who led a band of Maroons, an independent band of runaway slaves and indigenous peoples who fled to the countryside to stage raids against white masters. Historian C. L. R. James’s seminal book The Black Jacobins briefly covers the actions of Mackandal, who James argues is a pivotal forerunner to the success of the later Haitian Revolution by self-liberated slaves. According to James, the Mackandal rebellion was “the only hint of an organised attempt at revolt during the hundred years preceding the French Revolution,” yet this game unquestioningly treats his fictional successor Baptiste as a villain. Aveline is positioned squarely against this slave revolt despite her liberationist views, suggesting that her assassin role resembles not a Maroon, but a maréchaussée. These figures were free people of color in Saint-Domingue who captured and punished runaway slaves and fought Maroons, all under the direction of white superiors. Aveline may be able to smoothly disguise herself as a slave, but she is very much part of a privileged wealthy class as a free mulatto woman. The game avoids questioning how her mobility is not the reality for many—if not all—black people, a problem that becomes apparent when Aveline effortlessly travels in and out of slave quarters. As Stewart R. King argues, the maréchaussée fought a conflict less of race than of status, in which slaves represented “a despised and feared class of people.” Aveline’s assassination of Baptiste and his followers suggests that her desire to free slaves is only to the extent that the existing capitalist superstructure remains with a wealthy white landowning elite intact. The game sets up Baptiste as evil while providing little insight into the individual lives and political and economic contexts of these ex-slaves, forming instead a cartoonish sketch of black characters mad with drink and ritualistic fervor. Liberation’s much-discussed “persona system” does warrant praise as a way to creatively convey the social impact of race, gender, and class, a topic that Chris Franklin goes into great detail in his shrewd analysis of Liberation and Freedom Cry. Aveline can swap clothing and weapons across three different personas—the lady, the assassin, and the slave—reflecting how various social statuses afford different access and power in a colonial city. For instance, the lady attracts less suspicion from city guards but is prone to harassment by vagrant gangs. The slave persona can climb and run, but cannot bear firearms. The assassin, meanwhile, seemingly represents the ultimate enemy for a white, slave-owning authority. This persona lives outside the established codes of the city, embodying a black militant that is both free and armed. Therefore, the most dangerous threat to white supremacy is black freedom, here quite literally rendered as Aveline’s dexterous ability to climb, run, and fight. Nevertheless, these insightful systems are under-served when the game’s central narrative largely treats black characters as docile human camouflage or as victims of Aveline’s blade. Later in the game, Aveline rescues and solicits help from a slave named George, only for the game to pit the protagonist against him and other runaway slaves. George had taken up arms with the Ethiopian Regiment, a Loyalist band of runaway slaves who harbored no sympathy for a hypocritical Patriot cause ostensibly on the side of liberty despite colonists’ continuing slave-owning status at the outbreak of the Revolutionary War. Loyalty to British rule offered a tangible chance at freedom for these runaway slaves as the institution was abolished in England in 1772. It’s curious then that Liberation places Aveline in opposition to George’s plight simply because the Patriot cause is on the side of the Assassins against the Templars. In the absence of clear moral lines, following a particular creed should be too difficult a choice to make, yet the game regresses back to this simplistic Assassin vs. Templar conflict in the “true” ending of the game that finds Aveline cementing her role in the Assassin ranks. When Aveline makes contact with enslaved characters (that is, when she doesn’t kill them), she rarely forms lasting relationships. An early sequence finds Aveline rescuing the slave Thérèse, only for the game to immediately drop the character after the completion of this objective. She is largely forgotten until Aveline discovers her to have fallen into slavery again in Chichen Itza. Thus, Aveline’s actions, while well-intentioned, were not particularly effective in undermining the system that had exploited these characters. The only enslaved character who players find real affinity with is Aveline’s mother Jeanne, who in her diary pages describes the systems that perpetuate slavery, such as keeping slaves uneducated by forbidding them to read and write. Jeanne has a rich, rewarding backstory but the game sidelines this by hiding her affecting diary entries as optional collectibles concealed throughout the map that can only be read buried deep in the pause menu. Aveline frees a few slaves, but the company she keeps is predominantly white while black characters take secondary or antagonistic positions. 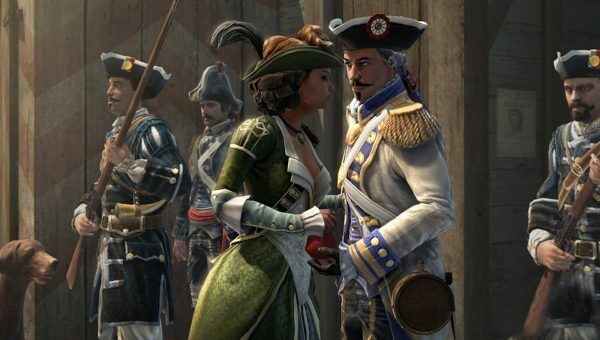 White characters such as Aveline’s timid, would-be suitor Gérald Blanc or the aforementioned smugglers are viewed with a reverent eye without consequential examinations into their own complicity and privilege within colonial society. These characters are “the good ones”, the game seems to suggest, and that complacency is dangerous. 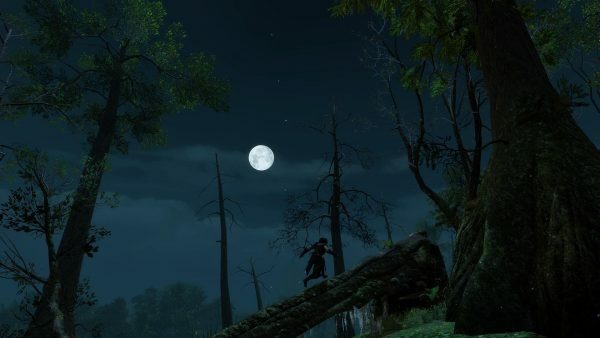 When the game identifies the mastermind behind a sprawling slave-owning operation, there is no organized, grassroots retaliation because Aveline has killed those runaway bayou slaves who would have the weaponry to fight back. Even Agaté, Aveline’s ex-enslaved mentor, is awkwardly killed off after having grown distant from her. 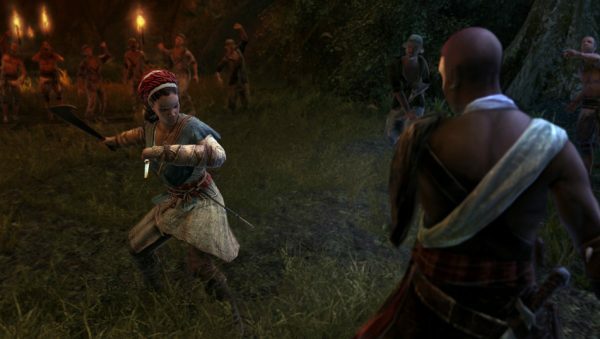 As a result, the game’s titular interest in portraying Aveline as a “liberator” falls flat given this lack of organization against a common enemy. Instead, liberation appears to mean entry into the plantation owning class; the game seems solely satisfied with the financial success of its protagonist. Over the course of the game, Aveline consolidates the power of a landowning elite when she sets up a vast Caribbean trading system dealing in cotton and tobacco. The game reassures players that her enterprise does not exploit slaves, but that notion feels vague and insubstantial as the game does little to differentiate her business from its slave-owning rivals of the period. By centralizing individual betterment within the strictures of a white capitalist system, Liberation refrains from emboldening radical black politics that would upset this status quo. The game’s stance is particularly jarring when slavery’s effects continue to reverberate in partisan politics today, both on the federal level and on familiar city streets. After all, Assassin’s Creed is a series where genetic codes bequeath memories to future generations, in which past and present collide. Perhaps it’s telling that Aveline lacks a playable descendant like previous games’ Desmond Miles, thus unintentionally suggesting a history that is sealed off from our contemporary moment. In pitting players against formerly enslaved black characters and totally abandoning the people the game professes to emancipate, Assassin’s Creed: Liberation sends a dubious message about ways to address slavery in 18th century Louisiana. The game may have more to say about racial politics than the similarly bayou-set Mafia III, but it’s still hard to feel excitement for a character who may liberate a few enslaved Africans only to retreat to a lavish mansion and manage a sprawling trading empire afterward. Liberation shortchanges the knotty relationship between free mulatto and enslaved black figures in Louisiana and the Caribbean, and along the way silences the radical history of real-life revolutionary figures under Aveline’s blade. This disappointment only grows when considering the wealth of true historical accounts of enslaved women who led a more radical charge against white supremacy. Figures in the later Haitian Revolution such as Sanité Belair and Cécile Fatiman offer ferocious biographies written in blood, and if the developers of Liberation were partly inspired by them, then these women’s uncompromising worldviews do not come through here. Instead, the familiar Assassin vs. Templar mythos cannibalizes the intricate and more interesting racial politics of the time. The game may choose to sit uncomfortably in the middle, but the center cannot hold.